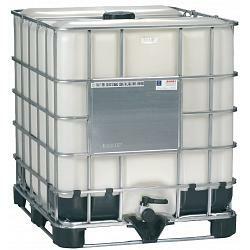 This is the Mauser Caged Intermediate Bulk Container (IBC) Tote - 275 Gallon. This IBC tote has a reconditioned steel cage and a brand new bottle installed by IMACC Corporation. Gain the greatest possible volume while using a minimum of space with this easy to fill, easy to stack and easy to load intermediate bulk container. It's the best solution for transporting and storing the widest range of chemicals and food grade products. Offering the highest quality in space-saving bulk containers, this IBC is designed for multitrip, hazardous and non-hazardous lading applications. It meets UN Standard 31HA1 for liquids in Packing Groups II and III with specific gravities up to 1.9. Rigid, welded galvanized tubular steel cage. UN Rating for Packing Group II and III. ISO container suitable dimensions. Fit 56 units on a 48-foot trailer. 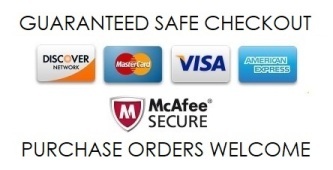 Tanks refurbished by IMACC Corporation are guaranteed not to leak or contaminate your product.